Fishy times tables! Underwater times tables is a fun way to practice your multiplication skills. Test yourself on the tables in normal or random order. Alternatively, test your times tables knowledge against others in our NEW multiplayer zone! Test your times tables knowledge by competing online against other people in our FUN multiplayer zone! To jump straight to the times tables game room click here. Test your times tables knowledge against others in our NEW multiplayer zone! I KNOW ALL MY TABLES YES! TOP OF THE CLASS !!!!!!!!!!!!!!!!!!!!!!!!!!!!!!!! it was cool. This game helps me a lot with my times tables. thanks so much i get 12 out of 12 every time in maths at school !!!!!!! Find it so easy to learn my tables have to learn my 6 7 8 9 times tables for Friday 6 th dec and today’s wed 4 th dec!!! I think the game is brilliant and I can do my 9s now and I get 10-10 every week. this game is OSM now i know all my times tables!! 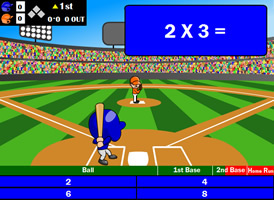 I love this game it has really helped me to learn my 9x,11x and 10x !!!!!! GET IN THERE I AM TOP OF THE CLASS NOW !!!! THX THIS GAME HAS REALLY HELPED ME . Great game for the children and young people. It helps the little ones with their time’s table. I really love this game because it helps me know my times tables. All I have to now is my 12 times table. And I will be the best student in my math class. That is why I love learning my times tables it is kinda fun. And if you don’t now your times table too bad for you. IT HELP ME LEARN ALL OF THEM SO IF YOU ASK ME A QUESTION I WOUL BEABLE TO ANSWER IT!!!!!!!!!!!!!!!!!!!!!!!!!!!!!!!!!!!!!!!!!!!!!!!!!!!!!!!!!!!!!!!!!!!!!!!!!!!!!!!!!!!!!!!!!!!!!!!!!!!!!!!! I did know my 8 and 7 times tables but I didn’t know them very well, so all thanks to this website that it helps student and kids of all abilities have fun while learning. SO THANK YOU!!!!!!!!!!!!!!!!!!!!!!!!!!!!!!!!!!!!!!!!!!!! It is a cool game and is really easy. Good game for little kids! I love this game it really cool come and play on it. im 14 and i can do my my 3 times table now!!! This really helped me with my 4 times tables.